Breath is our Life force. Without it there is no more life presence. How intimate are you with the movements of your Breath? Are you able to peel the layers and see what others cannot? Explore subtle therapeutic techniques to see past the skin and bones, and deeper in to the soul. Learn how to penetrate deeper into asana by understanding how movement transitions. Discover how powerful the space between breaths can be, and the Sacred Pause between exhalation and inhalation. 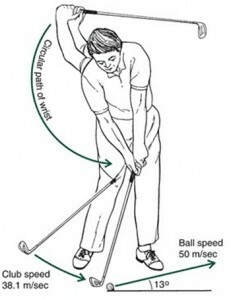 It is helpful to understand the biomechanics of the body. When you look at a person in a pose, look for lines of energy. See what muscles are over or under activated, what muscles are not flexible and not allowing movement or too flexible and allowing collapse. In biomechanics, balance is an ability to maintain the line of gravity (vertical line from centre of gravity) of a body within the base of support with minimal horizontal movement when a person is standing still. A certain amount of movement is essential and inevitable like breathing, shifting body weight from side to side, or front to back or from external sources (ex. air currents, surface vibration, angle of surface). The senses must detect changes of position to the base of support, regardless of whether the body moves or the base moves or changes size. An increase in sway is not necessarily an indicator of poor balance, but could be an indicator of decreased neuromuscular control, along with outside factors like light, surface changes, alcohol, drugs, and an infection to the ear. Balance deteriorates with age as the ability to receive and integrate sensory information declines. According to the CDC, one in three adults aged 65 and over will fall each year. Kinesiology is the scientific study of human movement, and addresses physiological, mechanical, and psychological mechanisms. Applications of kinesiology include biomechanics and orthopedics, strength conditioning and methods of rehabilitation like physical, occupational therapy and yoga. As more health care practitioners include yoga techniques in their approach to healing, more yoga teachers will be focused on a therapeutic intention to their teaching. Why do some people injure themselves? Why do some injuries not heal? What are the biomechanical and neurologic predispositions that allow injury to occur and prevent complete healing or effective compensation? As a Yoga Therapist, it is our duty and responsibility to create a place of refuge and sanctuary that allows people the safety to discover their unique path to self healing and liberation. Because teaching has a deepening feeling to it — it’s a journey for both you and your students. As you continue to draw out your interests, you can use that information and experience as guideposts for them. 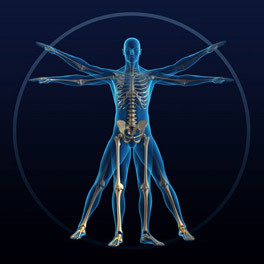 joint disorders are frequently not degenerative or progressive disease processes. They are often signs of syndromes, and usually manifestations of other problems. Biomechanical pathologies are usually the result of neurologic dysfunction and/or compensation. It is the victim of the crime that cries out and gets treated, while the criminal is silent and goes unnoticed. The effect of gravity is constant, and can help or hinder us. Appropriate response to gravity, or balance, is the key to returning to recovery from injury. Appropriate interaction with gravity governs neutral and sleeping postures, stance, gait and movement; these dictate the majority of structural and functional requirements of the body. If any of these functions are asymmetrical or unbalanced, then Wolff’s Law (tissues will respond to the forces put on them) will manifest asymmetrical and there will be a predisposition to injury, “inappropriate” healing response, or compensation that can cause pain. Joints are designed to bear weight, and to move. If dysfunction in posture, balance, and movement mismatch these structures to their function, pathology or poor performance will result. Balance can be severely affected in individuals with neurological conditions. Patients who suffer a stroke or a spinal cord injury for example, can struggle with this ability. Balance can also be negatively affected through fatigue in ankles, knees, and hips. Studies have found that muscle fatigue around the gluteals, lumbar extensors and knees have a great effect on postural stability (sway). Muscle fatigue leads to a decreased ability to contract with the correct amount of force or accuracy. As a result, proprioception and kinesthetic feedback from joints are altered so that conscious joint awareness may be negatively effected. Yoga therapy is the adaptation of yoga practices for people with health challenges. Yoga therapists prescribe specific regimens of postures, breathing exercises, and relaxation techniques to suit individual needs. Medical research shows that Yoga therapy is among the most effective complementary therapies for several common aliments. The challenges may be an illness, a temporary condition like pregnancy or childbirth, or a chronic condition associated with old age or infirmity. –Yoga Biomedical Trust, Robin Monro, Ph.D.